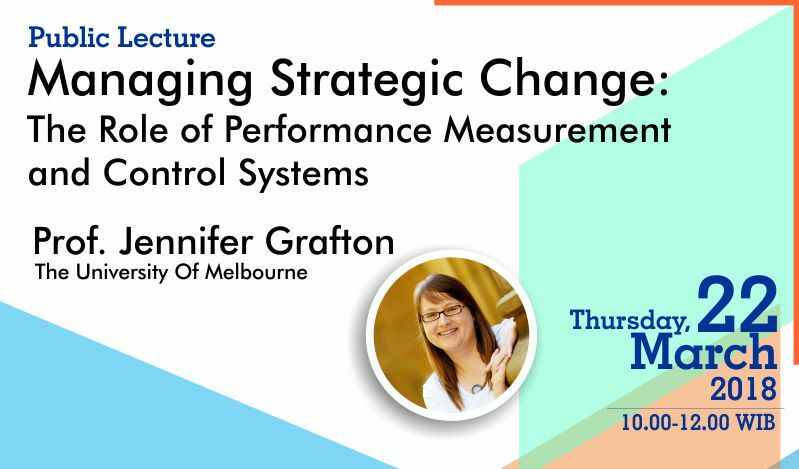 (Jennifer Grafton is the Associate Dean (Global Engagement) for the Faculty of Business and Economics at the University of Melbourne and an Associate Professor of Management Accounting. Jennifer’s current research focuses on issues of organisational performance management and control. She is particularly interested in these issues in the context of not-for-profit organisations. Jennifer’s research has been published in leading international journals, including: Accounting, Organizations and Society, and Management Accounting Research. Jennifer is a member of the editorial board for Qualitative Research in Accounting and Management, the Journal of Applied Accounting Research, and the American Accounting Association’s field journal, Forensic Accounting Research. Jennifer is the chair of the Accounting and Finance Association of Australia and New Zealand’s Management Accounting Special Interest Group, and sits on the research advisory panel for the Chartered Institute of Management Accountants (Australasia).